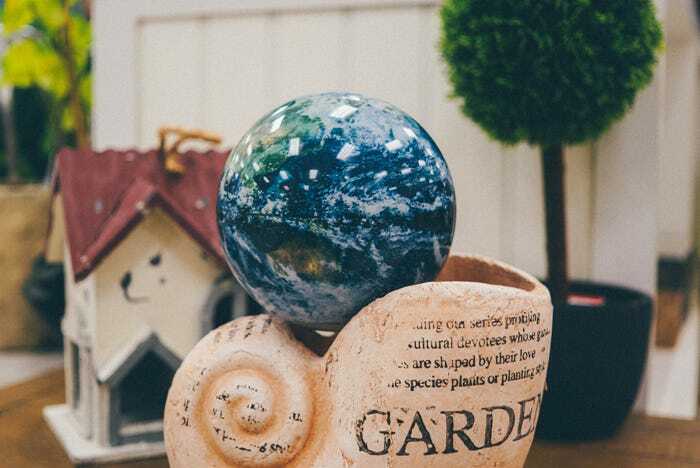 Transform decorative pieces into new bases for the MOVA Globe; we made this rustic yet classy looking base from a small picture frame and some white rocks. 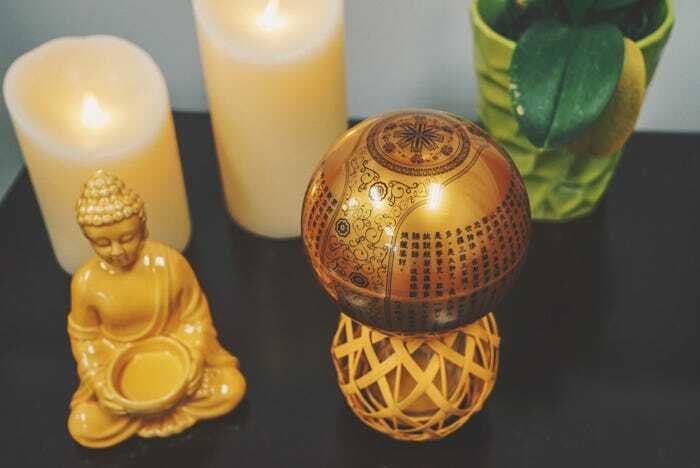 Place the MOVA Globe on a decorative candle holder like this straw holder and pair with lit candles to create a radiant, stimulating ambiance. 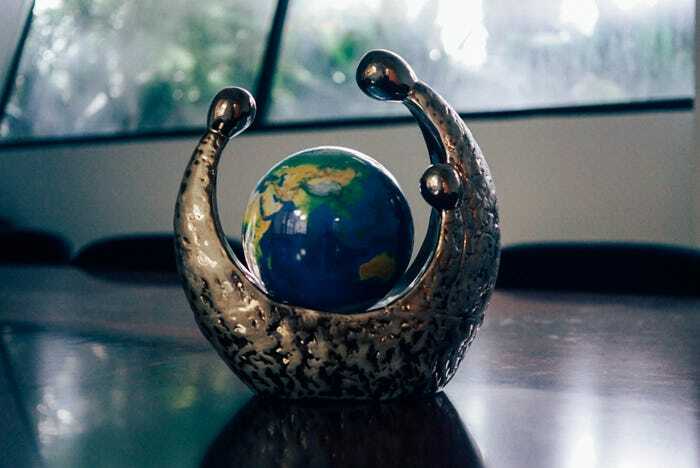 Try pairing the MOVA Globe with a sleek accessory, like this jewelry tree, to add new unique shapes to any desk or dresser. 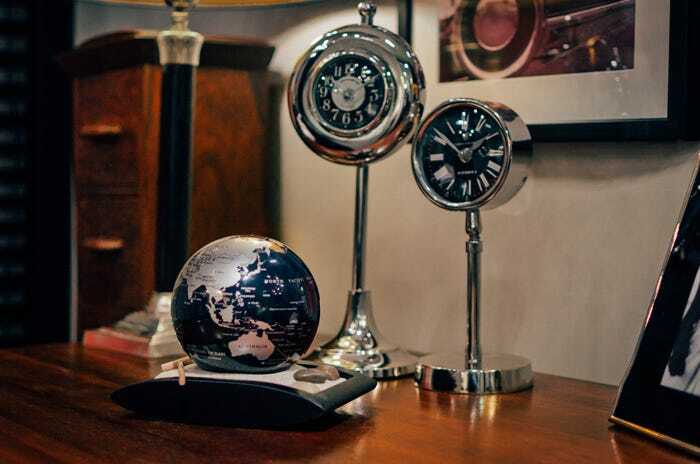 This fashionable base was created from a clock and pen holder, paired with a picture frame for a classy ambiance. Look for whimsical arrangements, like this dolphin statue, to add life and color. 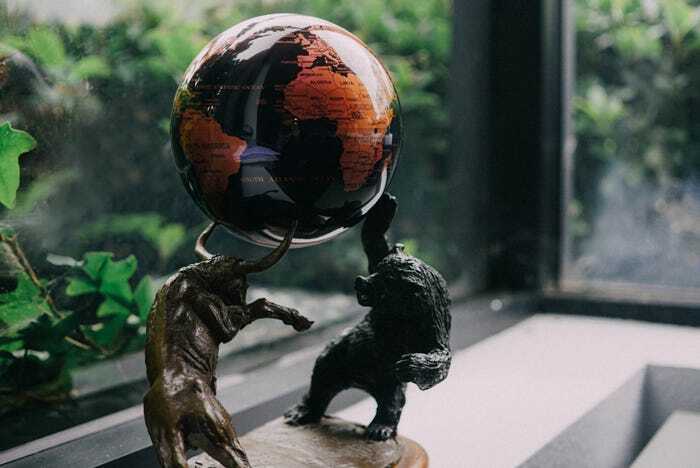 Look for upward points like in this bear and bull statue to create the perfect base for the MOVA Globe. 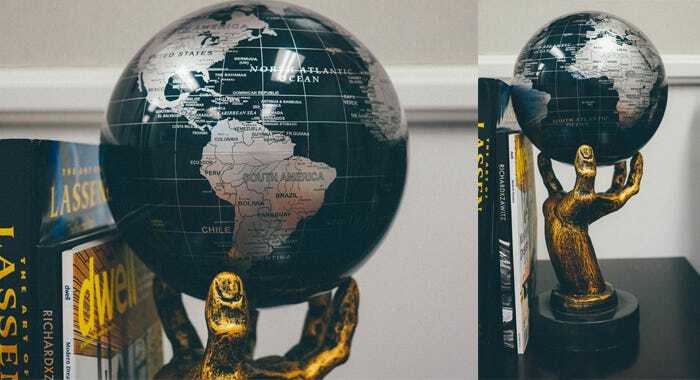 This hand statue combined with the globe creates a scholarly look. Sculptural pieces can be often transformed into new decorative pieces altogether just by adding a new component. 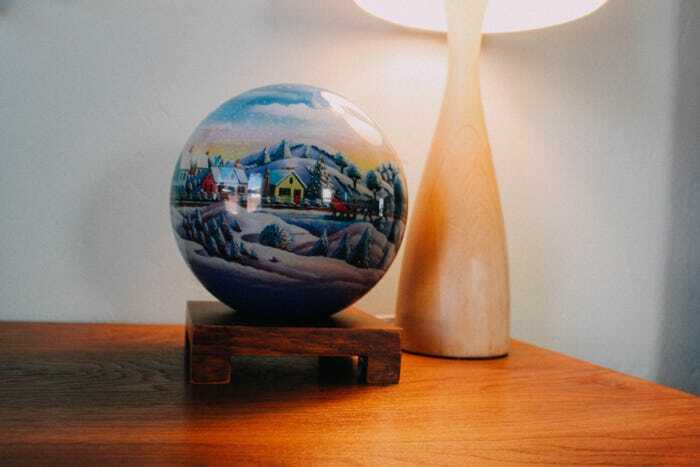 Create a design motif by around the MOVA Globe by adding it to a thematic piece. 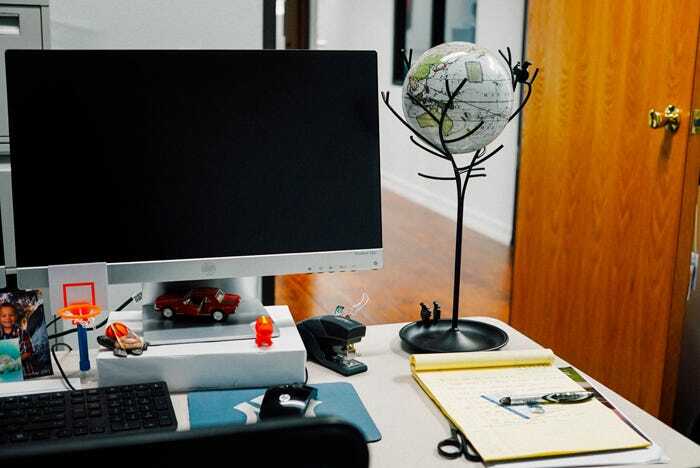 Match the MOVA with existing color schemes to both create a focal point and maintain a theme. 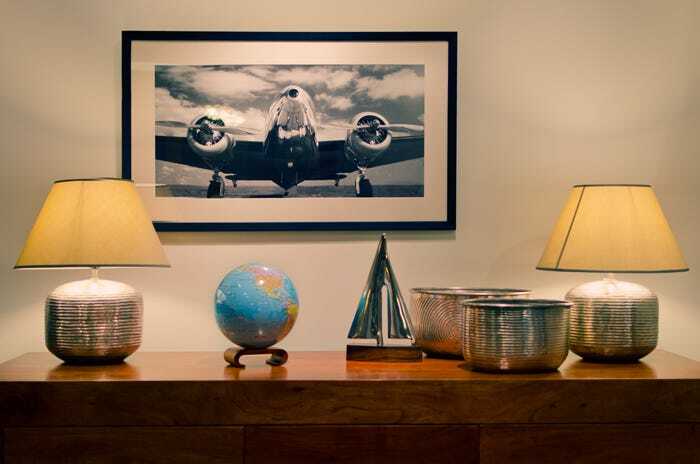 Lighting fixtures both power the MOVA Globe and provide a warm decorative complement. Take advantage of the bright colors on many MOVA designs to decorate a child’s room. 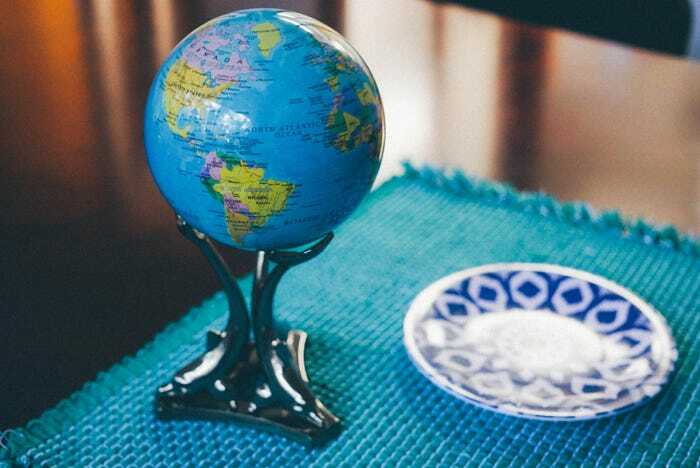 Pair the MOVA Globe’s spherical shape with other geometric elements to stay current with interior design trends. 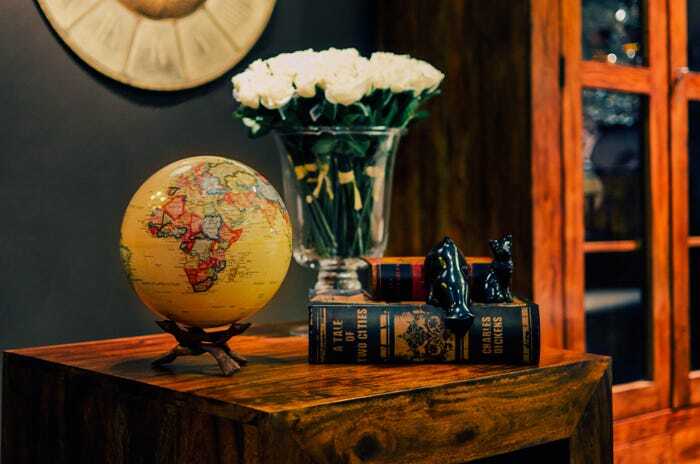 Take advantage of the scholarly and vintage qualities of the MOVA Globe to add more sophistication to any interior. 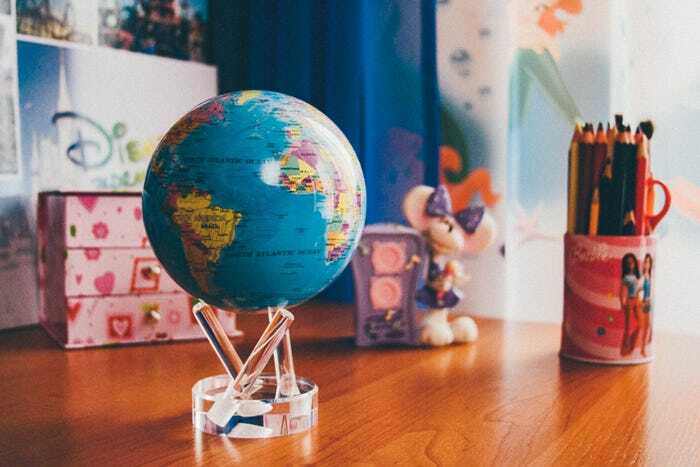 We hope you find these suggestions helpful in getting you to think outside the box when adding the MOVA Globe to your home. 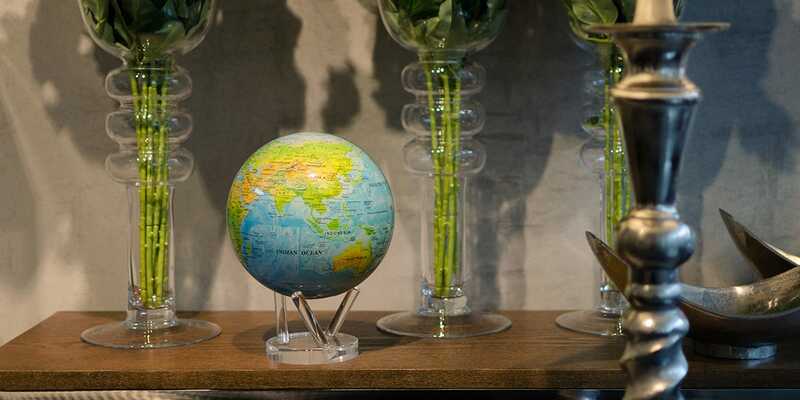 The MOVA Globe’s motion and design already ensure a conversation piece – your own ideas will allow the MOVA Globe to really enhance your interior design. 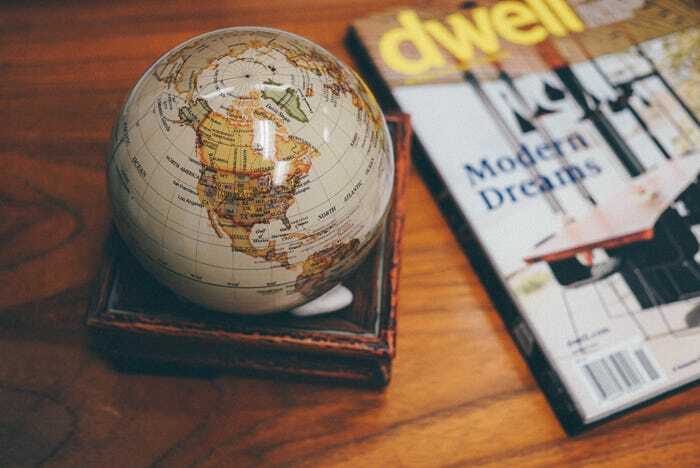 Speaking of interior design, we will exhibiting at Dwell on Design in Los Angeles for the first time from May 29 to May 31st. Check out exhibitor profile on Dwell. 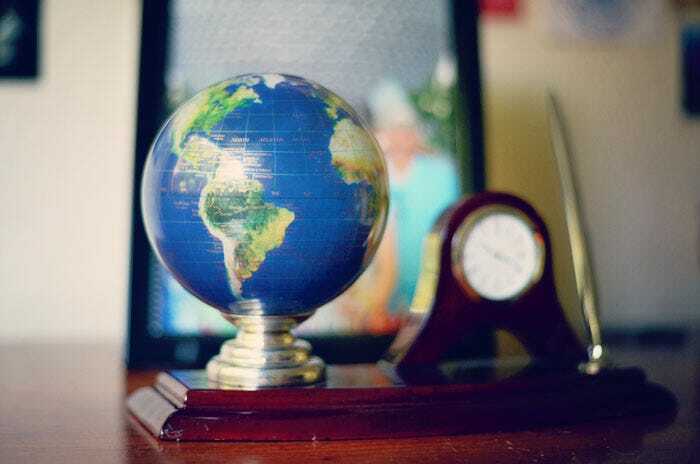 How do you decorate with the MOVA Globe in your home? Are we missing anything? Let us know in the comments or on our Facebook.